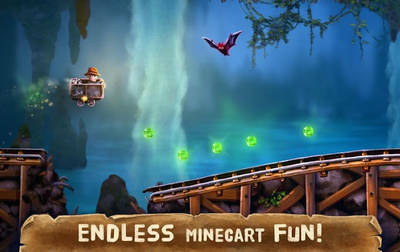 Become a young adventurer and ride your minecart on a perilous journey through jungles, caves, and volcanoes in search of long lost treasures. 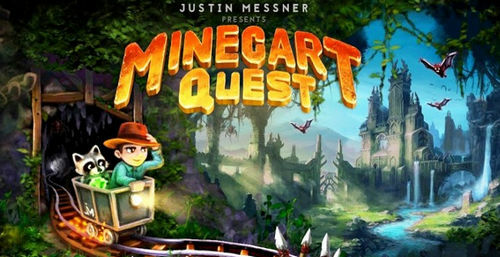 Minecart Quest is a new adventure you don't want to miss! - Different every play through! - Simple to learn, difficult to master! - Collect gems and exceptionally rare artifacts! 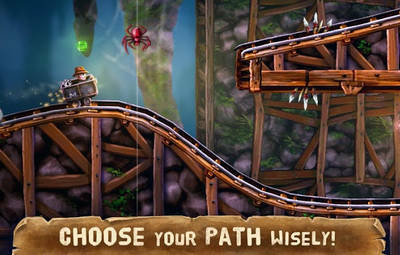 - Avoid obstacles, enemies and other traps you may encounter! - Choose your path wisely! Some are more dangerous, some are more rewarding. 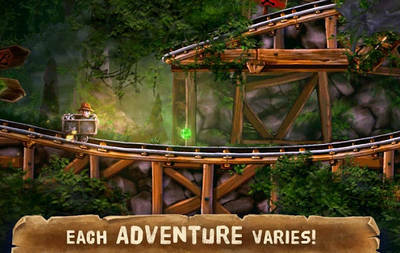 - Challenge yourself as you go for your high score, furthest distance, or most artifacts collected! - No annoying ads, pop ups or in game purchases to deal with.